I’m pretty stoked how this bad boy came out. It’s funny how some things work out. 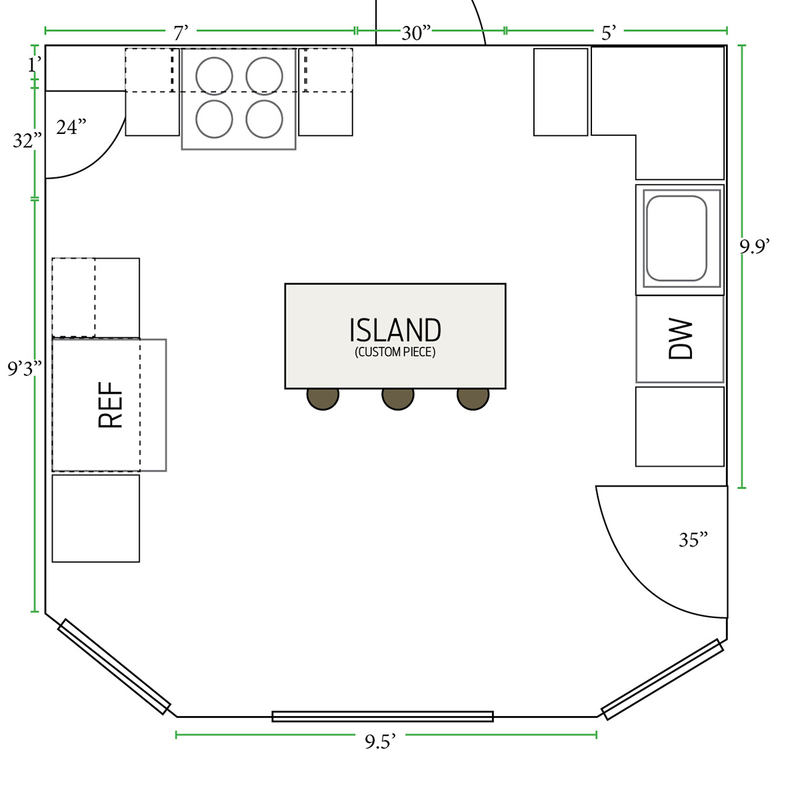 After installing all the grey kitchen cabinets I started preparing and searching for an island. I really wanted a rustic antique wood piece but knew it would be hard to find the perfect size. In my original drawing I had a rectangular shaped island. 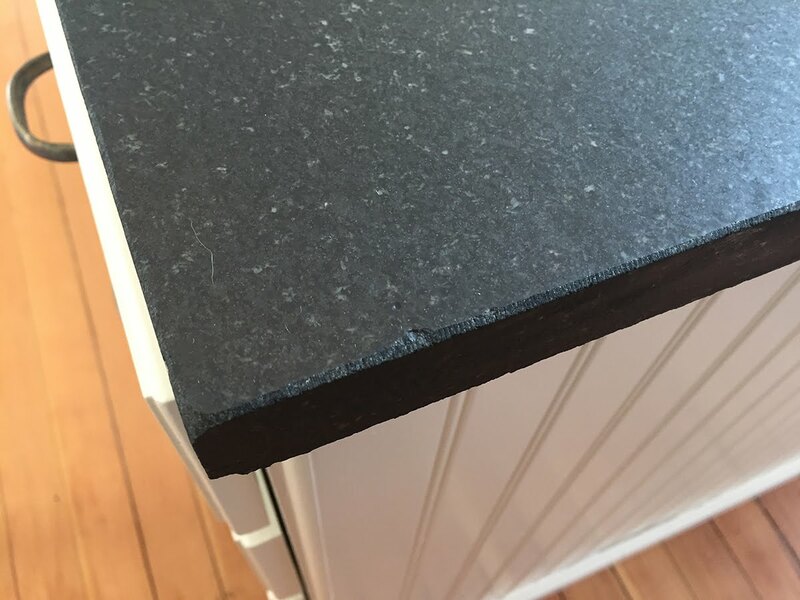 I started by measuring 40-48″ from each wall of cabinets and taped off a shape on the floor. (Didn’t get a shot of that 😦 Sorry.) I knew I wanted this to be super functional and have decent storage as well as room for stools on the other side. So the width between the refrigerator and dishwasher had to be about 45 to 48 inches but the other length could vary. They’re super nice – solid wood, dove-tailed drawers and in good condition. I got the sink cabinet and set of drawers for $40 and another set for only $10 more. At the time I didn’t know what I was going to do with the other set but certainly couldn’t pass them up!! 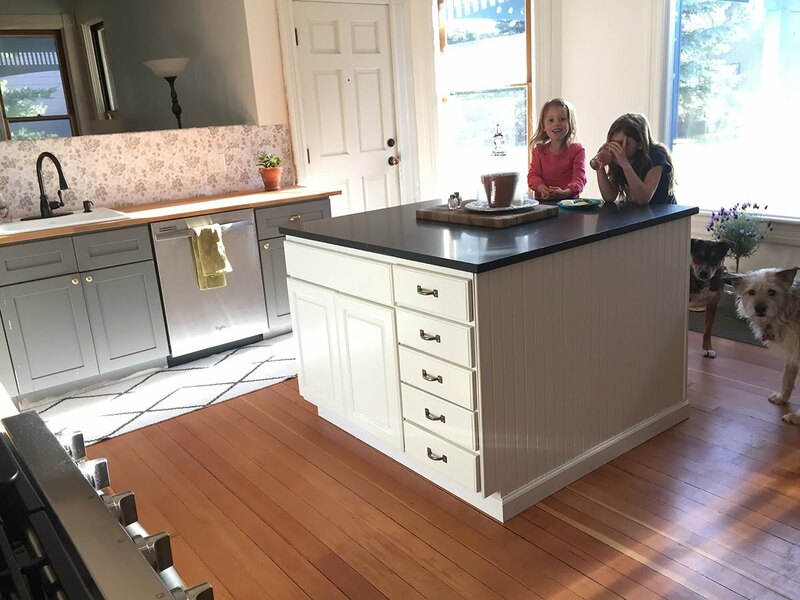 After searching and searching online for an island that would fit (and that we could afford! ), I was getting a bit discouraged. And then a light went off. I decided to measure the second set of vanity cabinets and, wouldn’t you freaking know it, they measured to 45 inches wide! I presented the idea to my husband and he looked at me like I was smoking the Rocky Mountain good stuff. But I had to remind him that we needed to take advantage of what we physically had and how we need to save money for other things yet to come. (Like the master bathroom!) We moved the cabinets into place in my marked area in the kitchen and decided to “feel” them out. We both agreed that they would be functional so the rest of the planning continued. 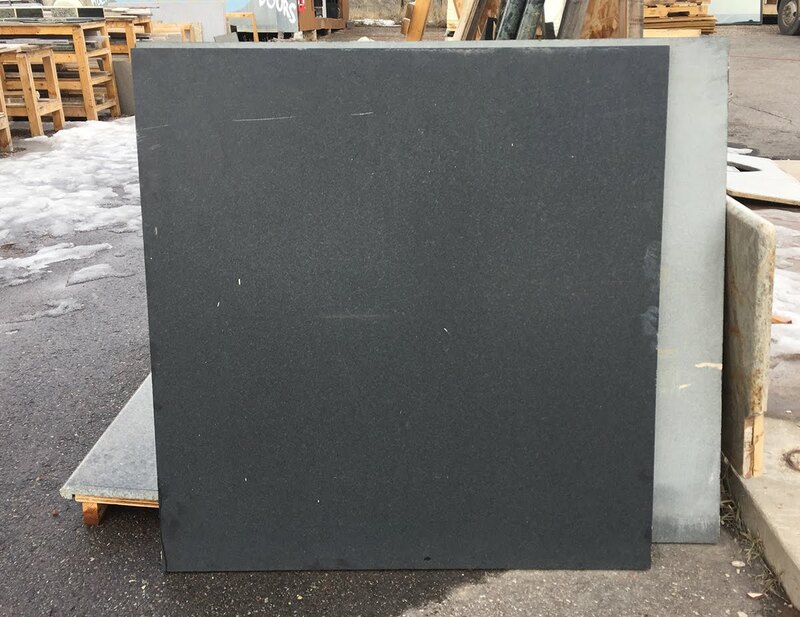 A slab of steel grey granite. Go ahead and guess at the size of this thing… go ahead… nah, you’ll never guess. 47 by 49 inches! Holy crap what are the odds?! It was a little darker than what I wanted and the edges weren’t finished so a little effort would have to be put into it. 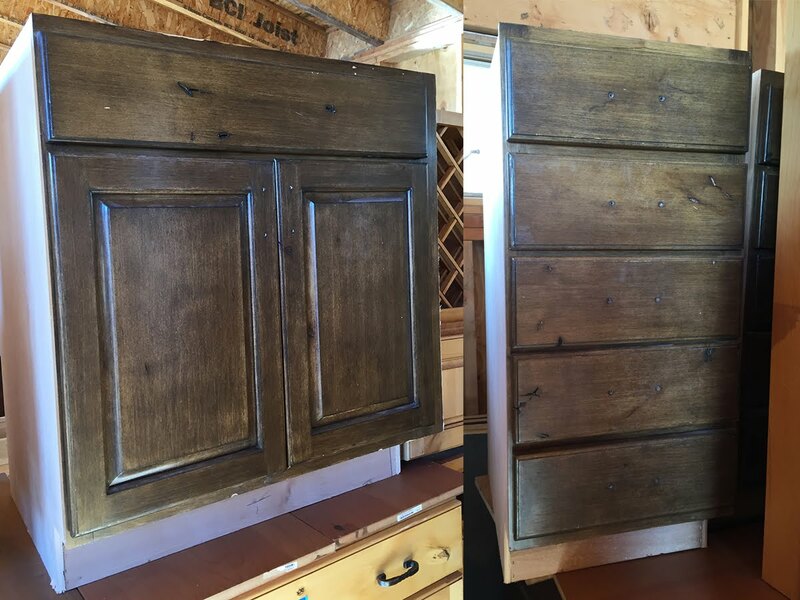 But it was $100 bucks and fit the vanity cabinets perfectly so we nabbed it. We measured out the rest of the base so that the counter would hang an inch over each side. Got trim and beadboard and painted everything white. We bought an angle grinder to finish the edges. I really like that they are a little rough and uneven. I didn’t want this shiny and sparkly. The hubster did a good job. 😉 We grabbed a couple of neighbors and the four of us plopped this thing on the base. 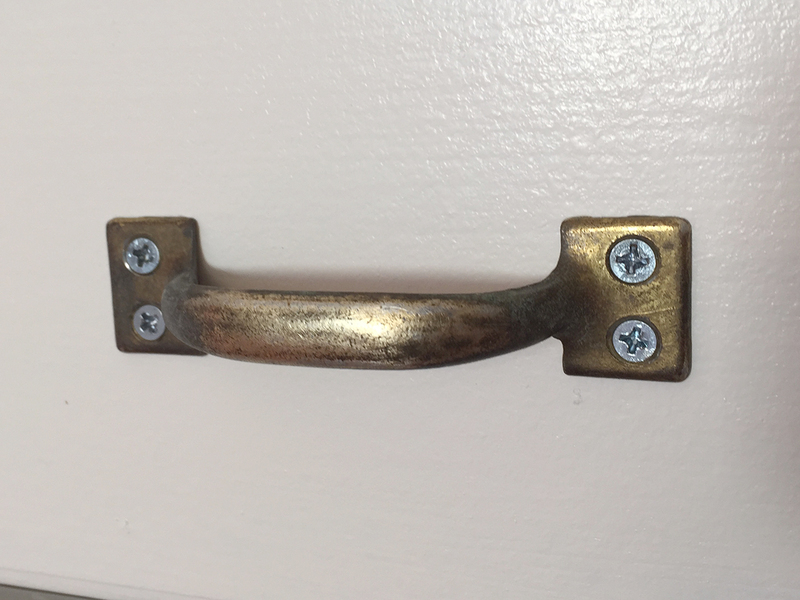 I found these cool tarnished brass pulls on Ebay and put them on today. Now I can finally use the drawers! Need to get a couple of pulls for the doors and I think we’re done! 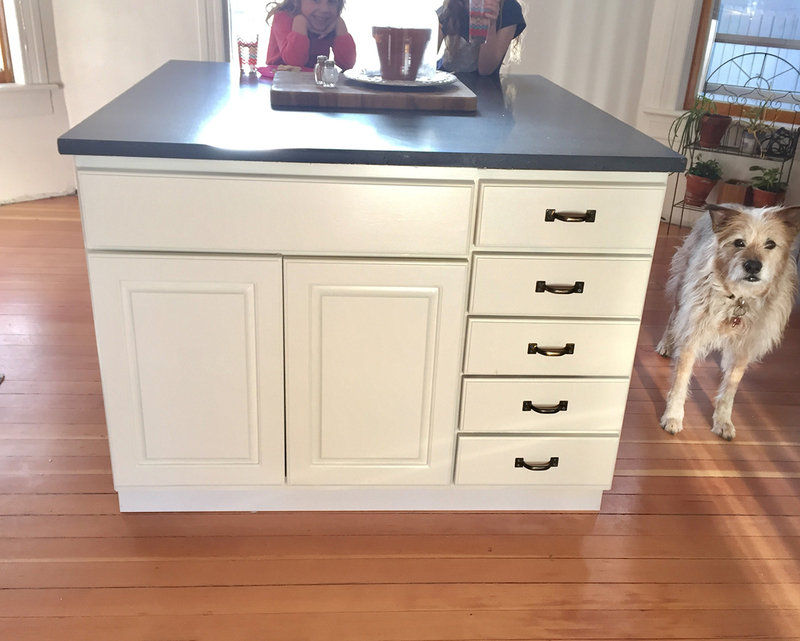 So a totally custom island that fits this funky kitchen perfectly cost us about $200. Not bad if I do say so myself!